Construction sites need Construction Safety Officers (CSOs) to maintain the health and safety of the entire crew. A CSO is imperative to every team, but what do they do? 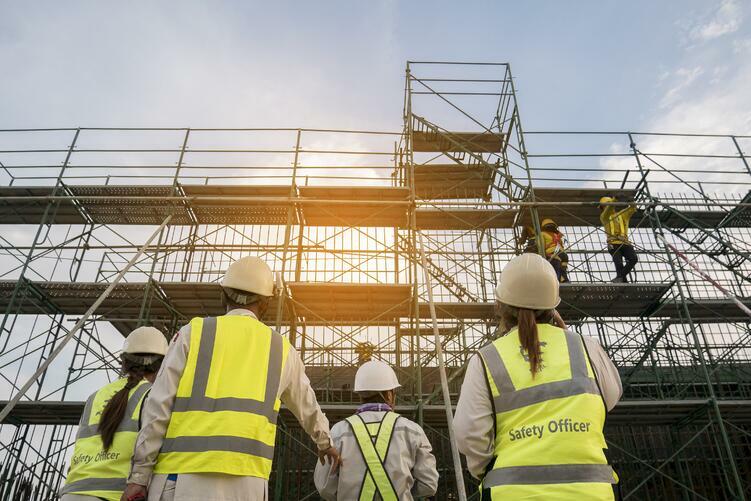 A Construction Safety Officer’s primary role is to make sure all health and safety regulations are implemented and followed during the entire course of a construction process. To maintain the safety of a construction site, the officer will coordinate several inspections and investigations depending on the nature of the project. The officer is also an essential part of the team to educate other workers on the latest safety regulations, conduct training for workers, and ensure adequate reporting of all safety-related incidents. Construction Safety Officers can reduce the risk of incidences on various construction projects and are essential on every construction site. The role of a Construction Safety Officer includes many roles that make up a work day. A CSO will work with both senior management and workers to check-in daily with workers to make sure their safety needs are met. Day-to-day, they are responsible for attending safety incidents on site, which may include providing first aid treatments, devising site safety plan and enforcement. CSO have the emergency authority to prevent or stop unsafe acts when immediate action is required. A Construction Safety Officer will also lead health and safety programs to educate workers on the safety hazards at particular sites. In this role, a CSO might also travel to different construction sites in a working day. A large part of the day will also include responding to various administrative duties such as audit reports, writing risk assessments, formulating health and safety plans for a new work site, and marking multiple health and safety assignments given to employees. For instance, before a project starts on-site, a CSO would go over the working areas and document the hazard analysis process, hazard identification, exposure assessment and controls. He/She will also participate in planning meetings to identify any health and safety concerns inherent in the operations daily workplan and then formulate the Incident Action Plan for safety implications. Wages can vary depending on the workplace. However, for CSO, most wages start at C$25 - $28/ hour. If you reach a managerial position in the future, the salary can go up as high as $77,000. If you have taken these courses, it is also important that you are up to date with all health and safety regulations and can proficiently use Microsoft Office Suite to complete administrative tasks. In the world of construction, health and safety always comes first, and the role of the Construction Safety Officer will always be needed. It’s a rewarding role that can save lives and reduce the severity of hazards and accidents in the workplace. If you are interested in training to become an Officer, take a look at the Universal’s Groups courses to sign up!